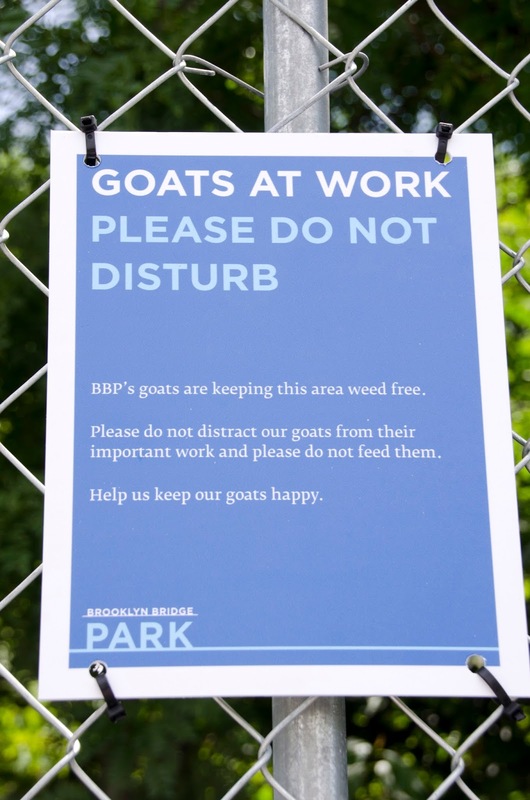 Four goats are at work eating weeds in Brooklyn Bridge Park. It's a big improvement over lawn mowers of the more common sort. This guy is on the job right now. The name on his collar says Hector. Click to enlarge. Here's another one. His collar (from a different photo) says Horatio. 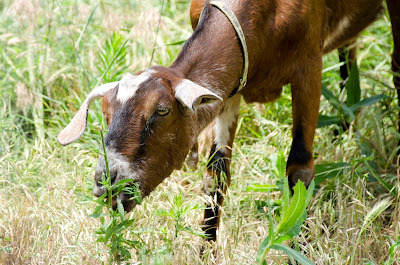 They are nubian goats. 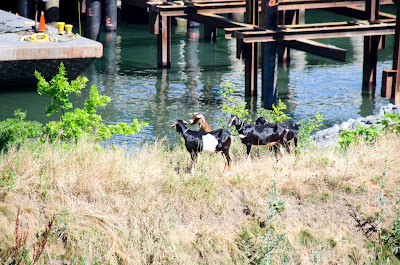 The park hired them for their eco-friendly ways and their climbing skills to trim the steep slopes of the noise-attenuating berm at the Pier 3 uplands. 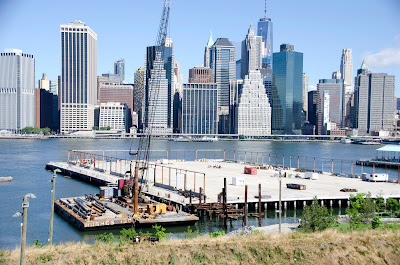 I've seen them a few times from the Brooklyn Heights Promenade when they are on the east side of the berm. Can you see them in this photo? Follow the line of the crane down to the crest of the hill. 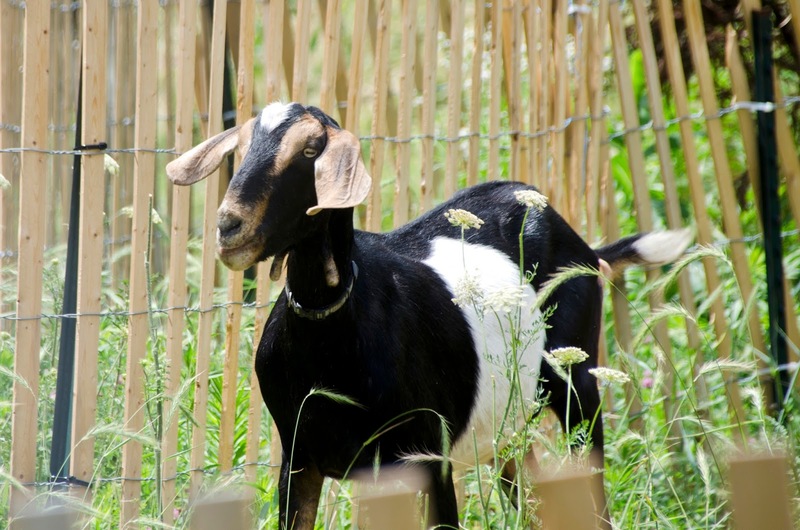 Goats are a big surprise in this setting for people who are not expecting them. 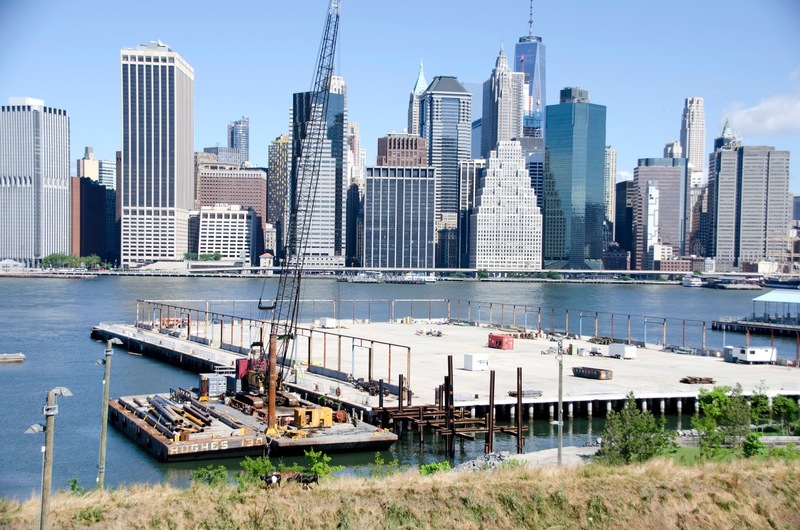 Here is a more magnified shot from the same vantage. 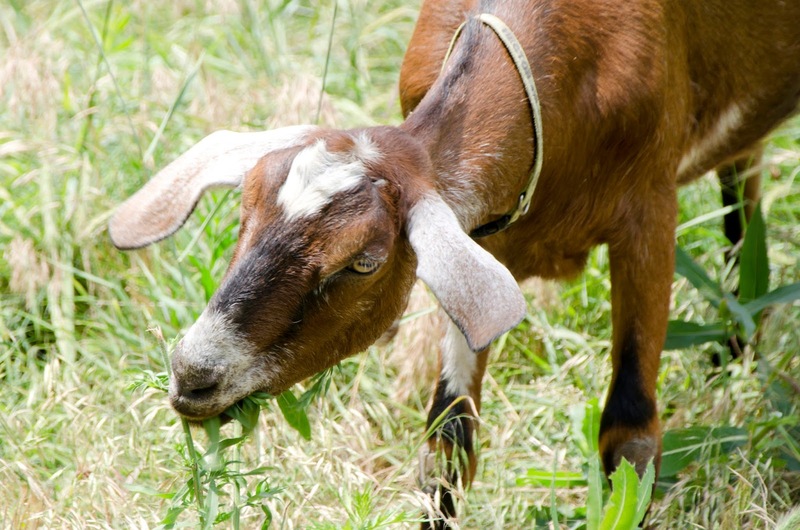 The other two goats are called Minnie and Eyebrows. They all spend their nights in a shed and they are on the job every day, munching away inside a fenced enclosure. Go take a look at them if you are near. But don't feed them or they won't do their job as well and don't disturb them -- just look. They are way cool! 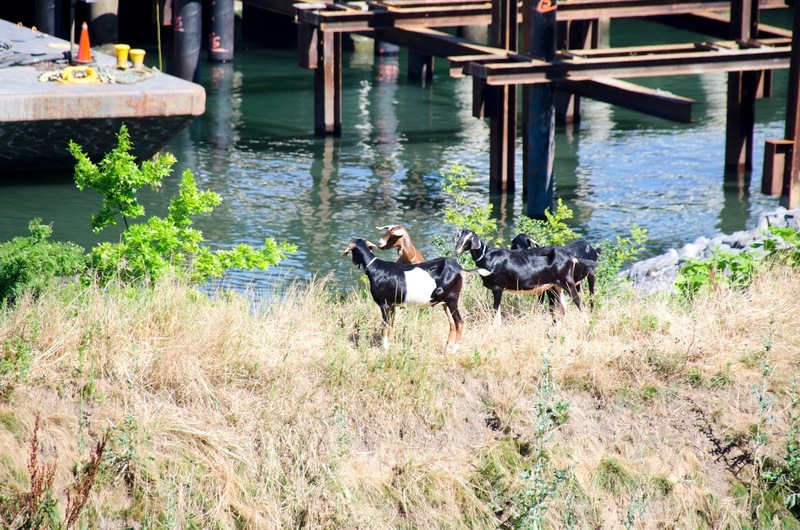 Will 4 goats manage the entire park grounds, or are there more onsite elsewhere? 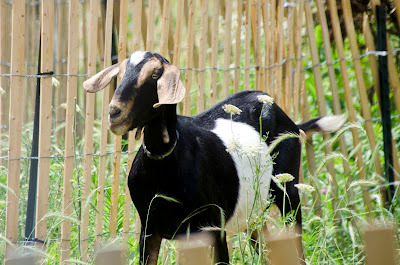 (How many acres and i assume it's for heavy growth and brush. What is the expected cycle of control? Thanks.